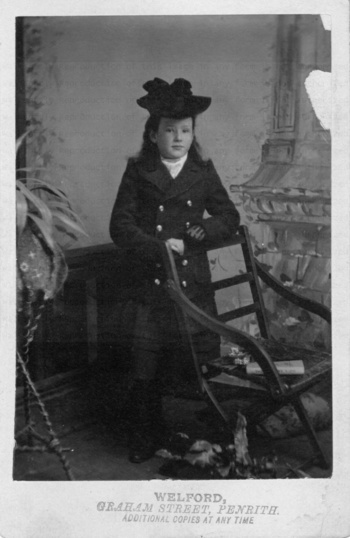 An unknown young girl from my collection of family photo's, on the chair is a book by A Lang. If I am correct the title could be "The Library", written in 1881. Andrew Lang was a Scottish writer, from Selkirk, & that is apx. 100 km from Penrith. That should clearly date the photo to 1881 or soon after. Hi walksoft ! I love her . Odd one gloved hand . Priceless ! Thanks for the love, Mani. Is it possible she wanted to show off her new winter gloves? Thanks for stopping by official, glad you like it. Thanks for the Love, crabbykins, bratjdd & scandi. Thanks Bellin for stopping by & showing some love for this pic. Thanks for the love, musikchoo.